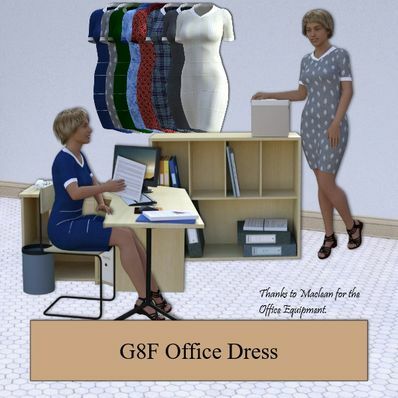 Office Dress for Genesis 8 Female for use in Daz Studio 4.8. Nice Dress! Thank you very much! Works perfectly and is exactly what I need. Thank you! Exactly the kind of dress I needed. Lovely! Thank you so much. Thank you so much very nice work!! Nice to have some real people clothes for G8F! Also grabbed eblank's textures. Thank you so much for sharing! Thanks. I'd buy one of those for myself! Beautifully done! Thank you so much! Wow! Thanks so much! Love all the textures as well. You're the BEST! thank you for your hard work and generosity!